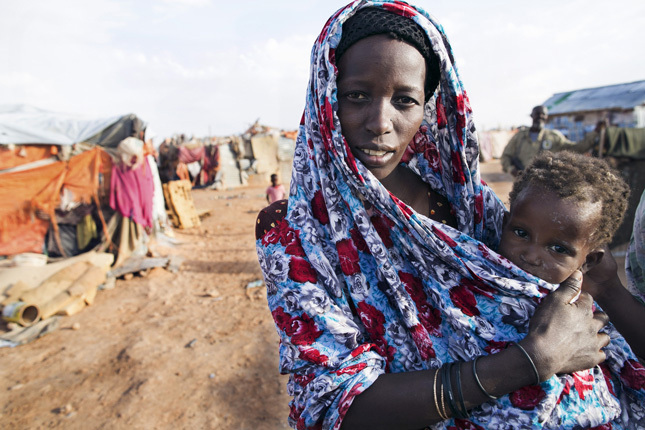 This article is the second in a three-part series on safe motherhood in conflict settings. The three delays of maternal mortality—delays in seeking care, reaching care, and receiving care—are exacerbated by conflict and cause hundreds of preventable deaths every day. Join experts at the Wilson Center on August 28 for a discussion on maternal health and armed conflict. According to the study, “targeted efforts in refugee camps to ensure surveillance of pregnancies by health care staff and provide transportation to maternal health services may have helped to minimize the prevalence of these types of delays.” The proximity of NGO health clinics to refugee camps also lessens the transportation time. Access to transportation also depends on the camp’s security and location. According to a 2010 field report, the refugee camps of Dadaab, Kenya—which today shelter approximately 235,000 Somali refugees—are located in insecure areas. Neither public transportation nor health agency vehicles would run at night to avoid being attacked. Violence against ambulances and other health vehicles is not unique—in fact, in 2011, the International Committee of the Red Cross reported high rates of attacks on ambulances in Colombia, Iraq, Libya, Mexico, Nepal, the Palestinian territories, and Yemen. Attacks against health vehicles have become more and more common in areas of ongoing conflict, affecting women’s ability to travel to facilities safely. UNFPA and its partners have deployed mobile clinics to areas where women often cannot reach services. UNFPA’s mobile clinics in Greece provide prenatal, postpartum, and reproductive health services, including family planning, to some of the 48,000 refugees living there. In Myanmar, which has the largest concentration of internally displaced people in Southeast Asia, local physicians and nurses operate temporary and mobile clinics in conflict-torn Rakhine State, bringing reproductive and maternal health services to women and adolescent girls “who did not have the freedom to safely move to stationary or government-run hospitals or clinics,” according to a UNFPA report. In Dadaab, the UN Refugee Agency (UNHCR) and its partners introduced “mama taxis”—community-run taxis that provide emergency transportation to women in the evenings and at night, when public transportation was unavailable. Mama taxis have also reduced the length of the first delay, as women who use them seek out health services more often, even at night. In Somali’s refugee camps, “waiting homes” offer a way for pregnant women to remain close to health facilities in the days leading up to their delivery. If they have any complications, appropriate health facilities are easily accessible. When transportation and referral systems are not available, UNHCR’s Minimum Initial Service Package. mandates that visibly pregnant women and birth attendants should receive clean delivery kits to facilitate safer deliveries in their camps or homes. Providing safe and accessible transportation systems to women in crisis settings, including refugees and internally displaced people, not only reduces the delays from transportation, but also reduces delays in seeking care. Whether or not a woman seeks care is largely dependent on her expectations. If women expect that they will be able to get to a clinic in a timely fashion, they will be that much quicker to seek care in the first place. Photo Credit: Jowle camp for the displaced camp in Garowe, September 2013. Photo by Agata Gryzbowska and EU Civil Protection and Humanitarian Aid Operations.